George Washington as a Roman leader was, for the Americans, Antonio Canova’s masterpiece. But a fire at the Raleigh Parliament sent the statue to the oblivion of history. Today, the Antonio Canova Museum in Possagno rediscovers the lost works of the great artist in his models and drawings. A Roman general sitting at his desk after laying down his rod of power and his sword. This is how Neoclassic sculptor Antonio Canova described US President George Washington in 1821 in what was considered to be one of his greatest works. The statue freezes the moment when Washington wrote his Farewell Address (“George Washington / to the People of the United States – Friends and Fellow-Citizens”), thus refusing a third term in office in 1796. It fascinated politicians and tourists for a decade at the North Carolina State Capitol in Raleigh, until a fire at the State House left nothing but rubble. 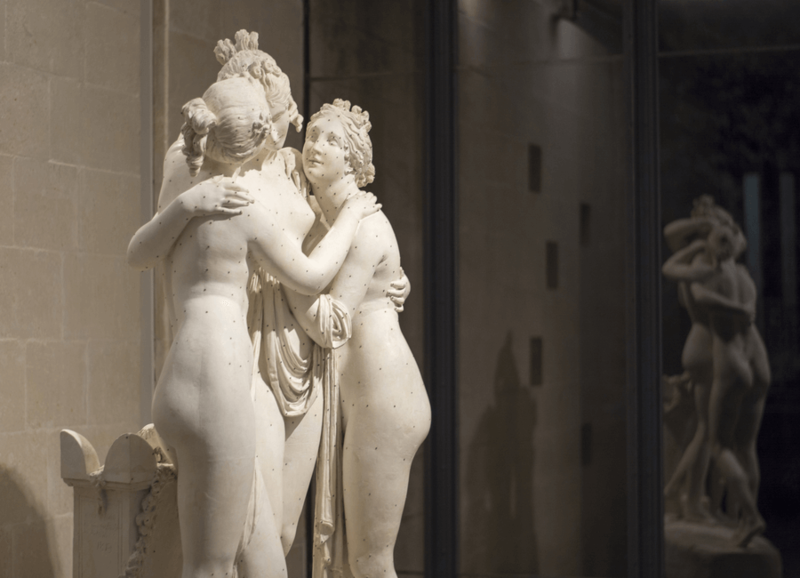 “If it hadn’t been destroyed, Canova’s sculpture would surely constitute one of the main artistic treasures of the United States today” ~ Xavier F. Salomon, curator of the Frick Collection. The exhibition “Canova George Washington” at the Antonio Canova Museum in Possagno and at the Frick Collection of New York presents Romano Vio’s replica of the masterpiece from 1970. In the Canova museum, a thorough collection of Canova’s preparatory models and sketches accompanies his correspondence with Thomas Jefferson. Not to mention his statues of the two presidents by Jean-Antoine Houdon. 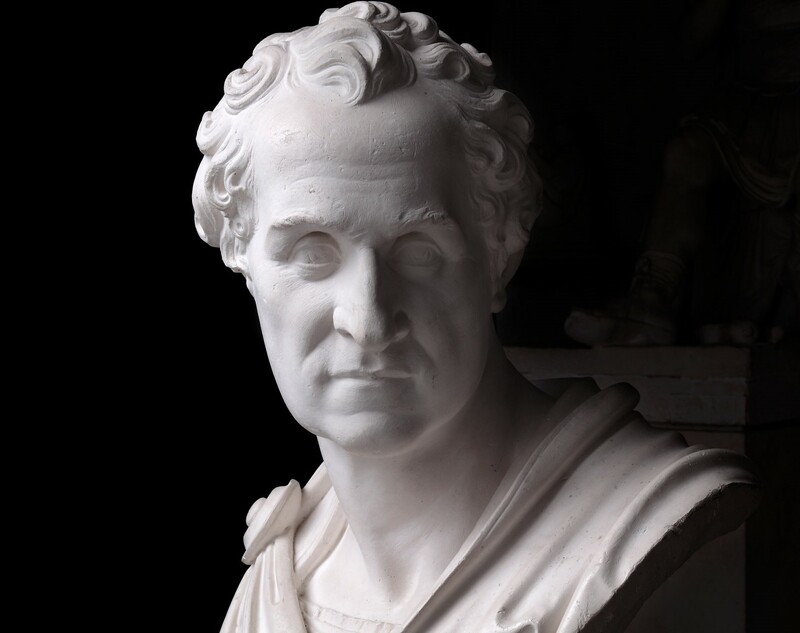 The exhibition, running until the 28th April 2019, describes Canova’s great attitude towards cultural diplomacy, which allowed the restitution of several artworks taken by Napoleon in Italy. In the USA, Canova’s George Washington became, alas for a short period, the symbol of the end of the American Revolution War against England. One of Canova's George Washington busts. 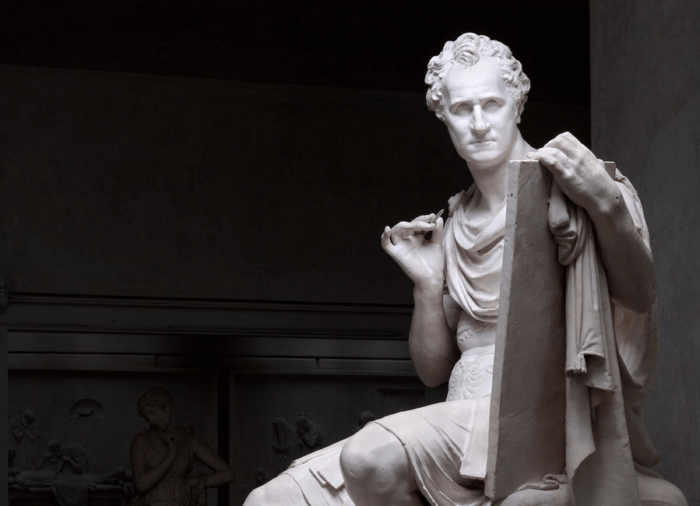 “The Museum Gipsoteca Antonio Canova in Possagno highlights the great value represented by Canova’s whole sculptural production in his homeland. Effectively, this reality is without doubt the world’s biggest museum preserving the entire production of original models by an artist. Moreover, one who used such a particular methodology in his marble creations”, said director and curator Mario Guderzo. The author of the Psyche Revived by Cupid’s Kiss (Louvre, Paris), Napoleon as Mars the Peacemaker (Apsley House, London) and Pauline Bonaparte as Venus Victrix (Galleria Borghese, Rome) are in the spotlight at the Museum of Possagno (formerly Canova’s own house), not far from the city of Treviso. Sixteen early paintings of the artist begin an incredible trip across Europe and beyond to describe Canova’s tremendous influence in the worlds of art, politics and society in the 1800s. Sketches, chalk and clay models and various artwork describe the artist’s life. All in the framework of a modern and smart museum. The artist’s memory is celebrated in Possagno’s Temple, where his remains rest. If there is an afterlife, Canova’s is inside the museum, where 3D prints and virtual representations keep his legacy alive. Canova’s vision of reality enhanced its uttermost beauty and equilibrium. Fondazione Canova keeps up with the standard of perfection. It safeguards the sites of the artist’s life while promoting his teachings. The foundation is in charge of a broad historical archive and book collection. These collections are the epicentre of a lively network of academic exchanges and research programs. It engages with 50 thousand between scholars, researchers, students, families, sculpture and architecture enthusiasts yearly. It also manages a schedule of restoration activities, aimed at maintaining the hundreds of pieces on display. What’s more, it experiments with new ventures of heritage preservation. 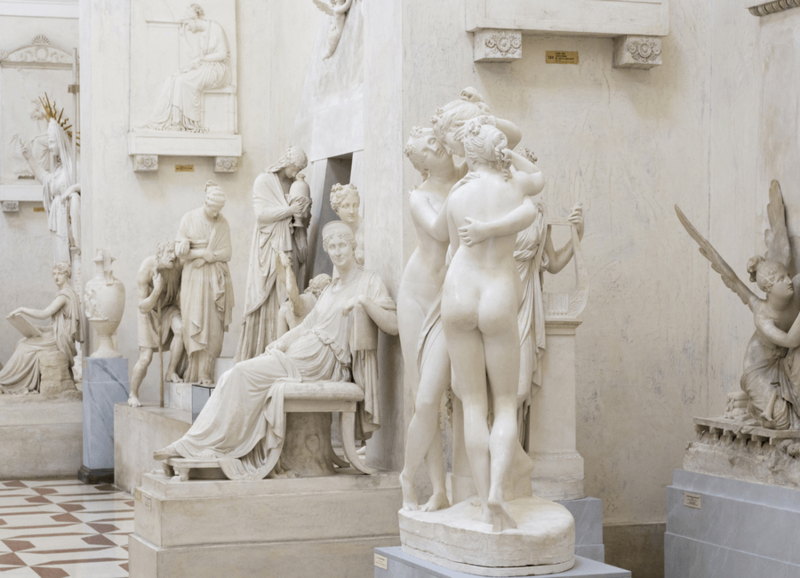 Lastly, Fondazione Canova engages with several private partners. This ensures rich agenda of temporary exhibitions, educational activities (including discounted visits and workshops), restorations, museum management, communication, conventions. Fondazione Canova also partners with other local institutions. These include the Museum of Asolo, Giorgione’s Museum of Castelfranco and the Palladian villas of Maser and Fanzolo. Visitors can get discounts to the five museums with a special card. “Old Canove of Rome, no artist in Europe would place himself in a line with him”, Thomas Jefferson, 3rd President of the United States of America.